This year was the largest so far. 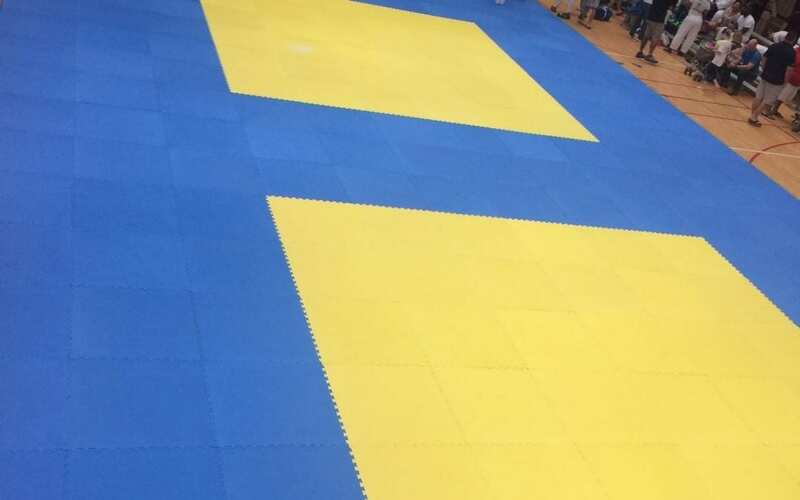 We had 208 entries in 51 Divisions with 3 mat areas. There were entries from 13 States: Alabama, California, Colorado, Florida, Georgia, Illinois, Kansas, Massachusetts, Mississippi, New York, North Carolina, South Carolina, and Tennessee. We also had entries from 3 countries outside of the United States: Bahamas, Germany, and Russia. In all, we had 80 dojos represented. There were 15 referees with Dr. Berliner, an Olympic Referee, as our head referee. We used the C.A.R.E. system (video review system) for any challenges on the calls, for the first time. It worked very well and ensured fair play. If a coach or a referee disagreed, the review was done and a decision rendered. Each mat had a 55-inch flat screen TV (Monitor) for keeping track of the match scores, time, and shidos. There was a scoring table at each mat with 3 people seated at each table. An additional person was used for calling the participants to their fighting assignments. There were always 6 people waiting in the staging area. The rotations onto the mats went very smoothly and were timely. The tournament had a 21% increase in participation over last year. Next year we are hoping to have between 250 and 300 entries. This would put us in a position to apply for a National Point Tournament designation. Many players who participated in the US Open in Fort Lauderdale, FL came to the tournament. Everyone worked hard. Again, this year, the referees commented on the level of play being very high. There were lots of Ippons and some crazy ground submissions. Luna Abboud Herbert from Germany was just phenomenal as was Caroline Gilstrap. These were some tough young ladies. The DZR folks from Chicago made themselves known. 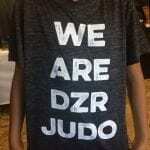 They all had T-Shirts saying, “We are DZR Judo.” Everyone from Chicago had a shirt: parents, siblings and players! 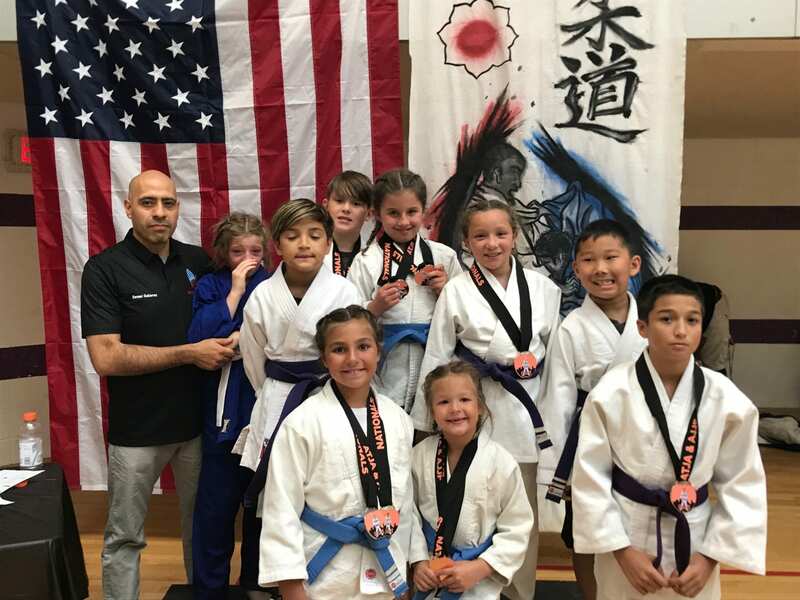 The group from Palmetto Jujitsu did their usual, in a circle, with hands in, yelling: “Danzan Ryu (in true “Lono” fashion), as they raised their hands overhead. All groups got along, and even played in the pool, and drank a few libations together at night. What a great time. Lots of invitations to visit and/or work out were given. We were invited to more tournaments and are planning more interaction and getting together, with both dojos and organizations. As a side note, if you are planning a trip to the Bahamas, and want to work out with the clubs there, let me know. You will be welcomed and will get to see a different side of the Bahamas than just the tourist side of things. 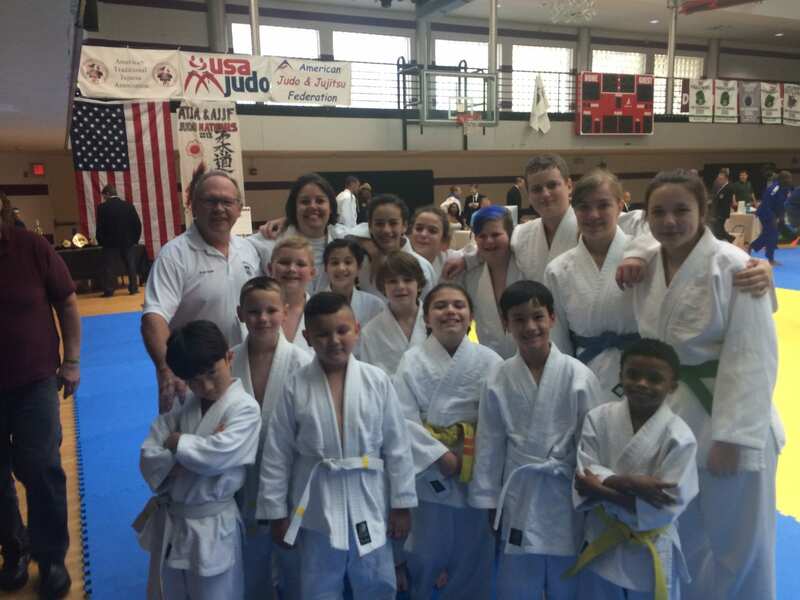 In South Carolina we are developing a State Judo Team to participate in interstate competitions, as well. Everyone competed on their organizational cards, and it worked very well. At the weigh-ins we showed our AJJF cards, which were logged and noted, with no issues. The same was true for all of the USA Judo “A” level organizations. We had 5 massage tables set up and they were busy! The PJA DZRSI students did an outstanding job of working on people. The referees even joined in on the elbow work! I had an opportunity to do and demonstrate Kappo at the event, as well. I showed and demonstrated some of our Kappo to the Bahama and German coaches. They were very appreciative, as were the players. I have to say that the level of competition was higher this year than last year. DZR fared very well. On Sunday morning, Joshua White had a free clinic at Black Ice Fitness (his dojo). It ran from 9:00 AM – 10:30 AM. It was non-stop action and conditioning. We extend special thanks to Leo White, Mark Fletcher and our host, Joshua White. They have so much talent and willingness to share. Having a massage table there did not hurt either!